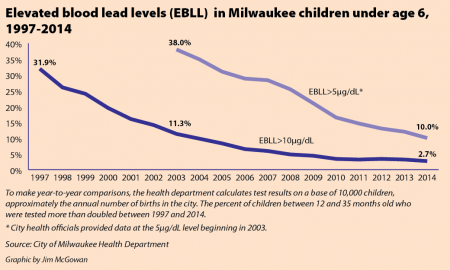 Editor’s note: This is the first part of a two-part series on the ongoing risk of lead poisoning from lead-based paint in Milwaukee. In part two, read about how Sixteenth Street Community Health Centers responds to elevated blood lead levels in children on the South Side. On a mild March afternoon, 3-year-old Christopher Martinez sits at the kitchen table watching videos on an iPhone. The boy’s face is illuminated by the screen and a bit of light streaming in from two nearby windows. On the other side of the table, Christopher’s parents, Armando Martinez and Ana Sanchez, observe him. Concern shows on their faces. The family, including 1-year-old Melanie, moved into their South Side home three months ago, unaware of the potential danger facing the children. The real estate agent did not mention anything about lead-based paint in the house, built in 1908. Lead paint remains the leading cause of lead poisoning in Milwaukee; the U.S. Consumer Product Safety Commission banned lead-based paint in 1978. The older the paint, the more likely it is to chip when windows are opened and closed, creating dangerous lead dust. Young children are at the greatest risk for ingesting the dust because of their curious nature and hand-to-mouth behaviors, said Ofelia Mondragon, lead hazard reduction program manager at the Social Development Commission. Martinez and Sanchez are not eligible for the Milwaukee Health Department’s current lead prevention program, despite living in a home more than 100 years old. The home is located in the 53215 ZIP code on the South Side, while the city’s program focuses on six ZIP codes on the North Side. Following revelations about lead contamination of water in Flint, Michigan, Milwaukee residents began questioning lead dangers here. In January, Milwaukee Water Works, a city agency, sent a letter to Martinez and Sanchez — and owners of 70,000 other properties — warning them that a lead service line carries water from the main line into their house and recommending measures to ensure the water is safe to drink. 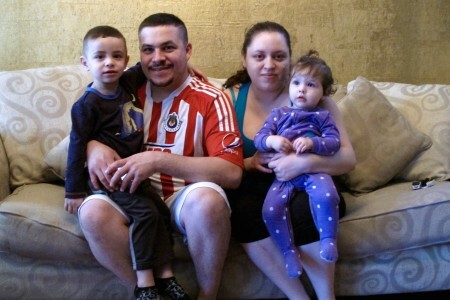 Nervous about her children, Sanchez scheduled a home visit from the Sixteenth Street Community Health Centers’ Community Lead Outreach Program. An outreach worker discovered lead-based paint chips around the windows, and informed Sanchez that her family’s home does not qualify for subsidized lead abatement from the city. The program subsidizes lead abatement in six city ZIP codes on the North Side – 53206, 53208, 53209, 53210, 53212 and 53216. 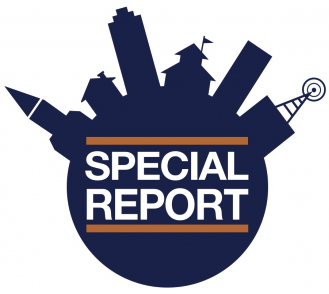 The city’s current three-year, $3.9 million grant for lead abatement from the U.S. Department of Housing and Urban Development has made 205 units lead safe, out of the goal of 710, over a year after the program began. The six North Side ZIP codes account for 75 percent of lead-poisoned children, according to the city. For a property in those ZIP codes to be eligible, it must have been built in 1950 or before, and be up to date on property taxes. Rental properties must house low-income residents. The majority of housing units on the North Side are rental properties, according to Sarah DeRoo, health communications officer at the health department. “Targeting these areas where not only are the most children lead-poisoned, but where there is more turnover in residential housing, helps us to ensure that rental units where low-income families move in and out of throughout the year are lead-safe,” wrote DeRoo in an email. The current HUD grant allows the city to cover 80 percent of the cost to replace the windows in houses with lead paint. The average cost to the property owner in 2016 (through March) was $765. The cost to the homeowner varies depending on the amount of work that needs to be done on the property. Diminishing funds nationwide for lead abatement forced the health department to narrow its focus to neighborhoods on the North Side, said Paul Biedrzycki, director of disease control and environmental health at the health department. The city’s lead poisoning prevention program, nearly 20 years old, lowered the rate of lead poisoning to a fraction of what it was in the 1990s. Milwaukee has been national leader in lead poisoning prevention, Biedrzycki said. The federal government’s lead prevention model, proactively removing paint before poisoning occurs, is based on the Milwaukee model. Before the change, health departments typically reacted only after children were found to have lead poisoning. 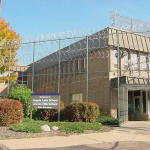 “Chasing or following elevated blood lead levels in the community was not addressing the root of the problem,” Biedrzycki said. Since the city’s lead prevention program began in 1997, more than 17,000 housing units have been made lead safe, DeRoo said. Nevertheless, Biedrzycki estimates that 130,000 housing units may still be hazardous. “Unfortunately our successes are our own worst enemy,” Biedrzycki noted, explaining that a nationwide decline in lead poisoning resulted in lower levels of federal funding for local health departments. 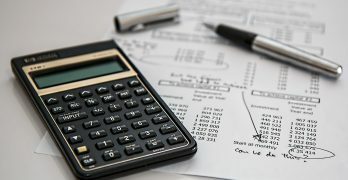 The budget for the Centers for Disease Control and Prevention Healthy Homes and Lead Poisoning Prevention Program was reduced from $29 to $2 million for the 2013 fiscal year. Lead poisoning damages childhood development and is especially dangerous for brain and body development in children under 6 years old. Signs of lead poisoning may not be apparent until the child begins school. A blood test determines whether a child is lead-poisoned. According to the CDC, there is no identified safe blood lead level for children. The CDC lowered its recommended intervention level from 10 micrograms of lead per deciliter of blood to 5 micrograms after negative health effects were documented among children with lead levels lower than 10 micrograms. 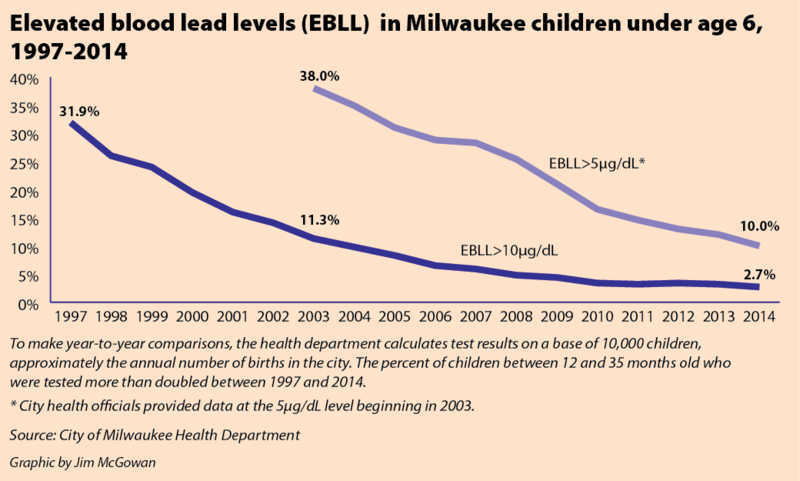 The prevalence of at least 10 micrograms of lead per deciliter of blood) among tested children under 6 years old in Milwaukee decreased from 31.9 percent in 1997 to 2.7 percent in 2014. The same trend appears when the lead threshold is lower. In 2003, 38 percent of children tested had blood lead levels above 5 micrograms per deciliter. By 2014, that dropped to 10 percent (see chart, above). Children with blood lead levels at or above 10 micrograms are eligible to receive Childhood Lead Poisoning Prevention Program follow-up services from the city. Depending on the blood lead level, the city’s response may include assigning a public health case manager and doing a risk assessment of the housing environment. There are many possible sources of lead exposure – soil, water, food, toys, jewelry and the surrounding neighborhood – which makes determining the main source of poisoning difficult once the level is below 10, Biedrzycki said. Ingesting lead causes poisoning, whether inhaling lead dust or swallowing contaminated water. 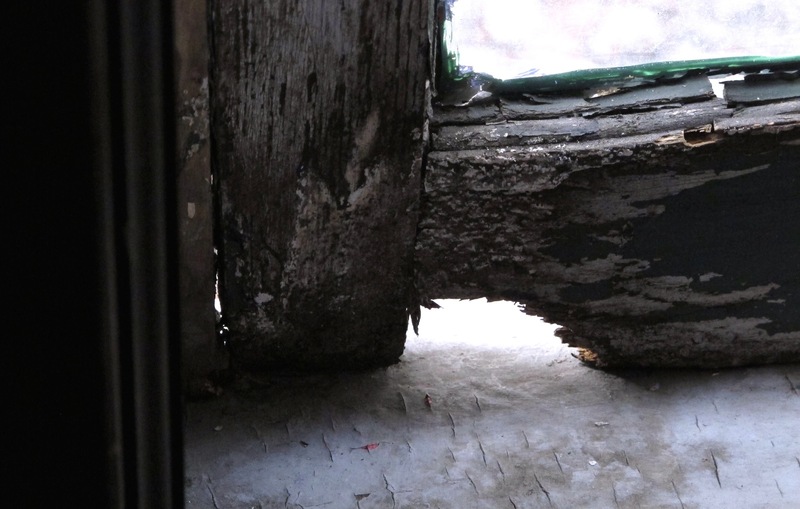 Old homes are particularly risky because of the likelihood of lead paint.